BUYING a property is a huge commitment but many overlook this fact, according to Credit Counselling and Debt Management Agency (AKPK) chief executive officer Mohamed Akwal Sultan. Greed, lifestyle and circumstances, or GLC, as Akwal summarised, are the leading factors of debt risks. According to him, it is not about how much money one has and doesn't spend at all, but about what one spends on and living with manageable debts. Thus, having financial education in its management can help reduce debt risks. "Only buy a home when you can really afford it. This means full commitment to an individual's entire loan repayment that does not exceed 40 per cent of your total income. "There are times when financial difficulties are caused by unforeseeable factors such as sudden medical expenses or unfortunate circumstances that may befall the breadwinner of a household," he said. On the other hand, he said a large majority of individuals bring this situation upon themselves when they start spending beyond their capabilities through investment or attaining a certain level of social status by force. An AKPK report shows 25 per cent of defaulters or those having difficulty in servicing their debts have poor financial planning and 15 per cent lose control of their credit card usage. Another AKPK report shows that 69.5 per cent of those enrolled with the agency's Debt Management Programme (DMP) from 2006 to February this year have an annual income below RM36,000, or an average monthly income of RM3,000. Of the participants, 43.7 per cent are between the ages of 30 and 40, and 40.8 per cent above the age of 40. A total of 79,037 out of the 144,720 counselled individuals are from the Klang Valley. And of the 55,225 individuals under the DMP, 30,604 are from the Klang Valley. 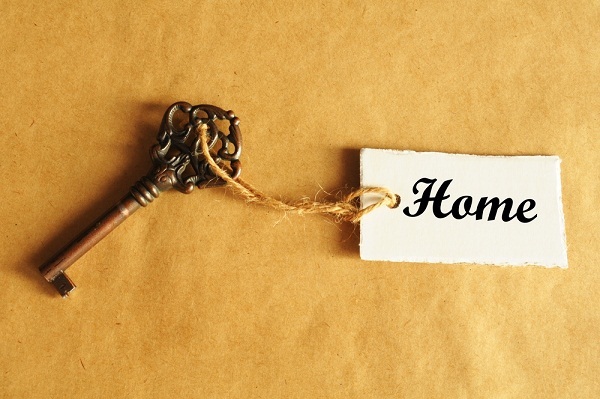 "Individuals become more inclined to commit to their home repayments when it is the only home they have," Akwal said. His advice: Never rely purely on financial backing from others without having your own personal stable income. Also, never be too generous with your money because you never know when you'll need it. AKPK - a wholly-owned subsidiary of Bank Negara Malaysia - was established in 2006 to provide financial counselling and debt management to individuals as well as educate them on financial control. It recently launched its POWER! programme to educate Malaysians on financial control and making sound financial decisions. Open to all age groups, the programme is held at AKPK's offices around the country from 9.30am to 1.30pm every Wednesday. * For more information, surf to www.akpk.org.my or www.speaksens.com.my or call 1 800 88 2575. Copyright 2011 Provided by ProQuest Information and Learning Company. All rights Reserved. PUTRAJAYA, 7 APRIL 2011 – Agensi Kaunseling dan Pengurusan Kredit (AKPK) stepped up a notch by gaining the approval of the Malaysian Qualifications Agency (MQA) for it’s Personal Financial Management (PFM) module. The auspicious event was officiated by Dato’ Seri Mohamed Khalid Nordin, Malaysia’s Minister of Higher Education. The PFM module is specially designed to equip young adults with personal financial management skills in an effort to create financially savvy Malaysians. The module, based on AKPK’s Money Sense – Getting Smart With Your Money book, is now officially available as a one credit hour elective course at Malaysia’s institutions of higher learning. To date, 32 local and private institutions of higher learning have infused the PFM module based on their respective academic needs prior to MQA’a credit acknowledgment. With this recognition, 12 more private institutions have since adopted the module. The event also saw AKPK’s collaboration with Perbadanan Tabung Pendidikan Tinggi Nasional (PTPTN) where the two will work towards ensuring every PTPTN borrower attends AKPK’s POWER! Pegurusan Wang Ringgit Anda course during their final year of study. Modul Pengurusan Kewangan Peribadi AKPK akan diwajibkan kepada peminjam baru Perbadanan Tabung Pendidikan Tinggi Nasional (PTPTN) mulai tahun ini. Menteri Pengajian Tinggi, Datuk Seri Mohamed Khaled Nordin berkata, ia akan dilaksanakan sekiranya pihak universiti sudah menyediakan tenaga pengajar untuk kursus itu. "Setakat ini, semua universiti awam sudah menyertai program ini (modul Pengurusan Kewangan Peribadi) dengan kerjasama daripada Agensi Kaunseling dan Pengurusan Kredit (AKPK). "Selain itu, adalah perlu bagi pihak AKPK melatih tenaga pengajar di kalangan pensyarah universiti untuk melaksanakan kursus ini," katanya semasa perasmian Perakuan Kredit ke atas Modul Pengurusan Kewangan Peribadi AKPK oleh Agensi Kelayakan Malaysia (MQA) di Putrajaya, semalam. Mohamed Khaled berkata, kementerian bersetuju memperkenalkan program tersebut sebagai kursus elektif selepas diperakukan oleh MQA, dengan jumlah kredit sebanyak satu jam. "Berpandukan maklum balas yang amat menggalakkan daripada pihak universiti, AKPK berusaha memperluas pelaksanaan modul Pengurusan Kewangan Peribadi ini. Dan kini, usaha itu diperkukuhkan lagi dengan perolehan perakuan satu jam kredit untuk modul tersebut dari MQA. Sementara itu, Mohamed Akwal berkata, sehingga kini, 32 institusi pengajian tinggi awam dan swasta telah menerapkan modul tersebut sebelum mendapat perakuan kredit daripada MQA. Menurutnya, pelaksanaan modul itu adalah melalui program Training-of-Trainers yang bertujuan membimbing tenaga pengajar di pengajian tinggi untuk mengajar modul tersebut kepada pelajarnya. Tambahnya, sebanyak 13 institusi pengajian tinggi telah bersetuju menerapkan modul yang sama, antaranya Universiti Islam Antarabangsa Malaysia (UIAM), Universiti Lim Kok Wing, Kolej Universiti Segi dan Universiti Selangor. "AKPK sentiasa memberi perhatian dan memantau mengenai pengetahuan kewangan terutamanya kepada generasi muda. Langkah ini diambil untuk memupuk amalan berhemat yang akan membantu membanteras tabiat berhutang," katanya. PUTRAJAYA: Some 214,790 borrowers have yet to repay National Higher Education Fund Corporation (PTPTN) loans amounting RM1.1bil from 1997 until Feb 28. Higher Education Minister, Datuk Seri Mohamed Khaled Nordin, said that they had failed to respond to enforcement measures undertaken by PTPTN. He said 673,205 (75.8%) of 887,995 borrowers had repaid loans with total loan repayment of RM2.3bil (48.9%) of the RM4.7bil owed. 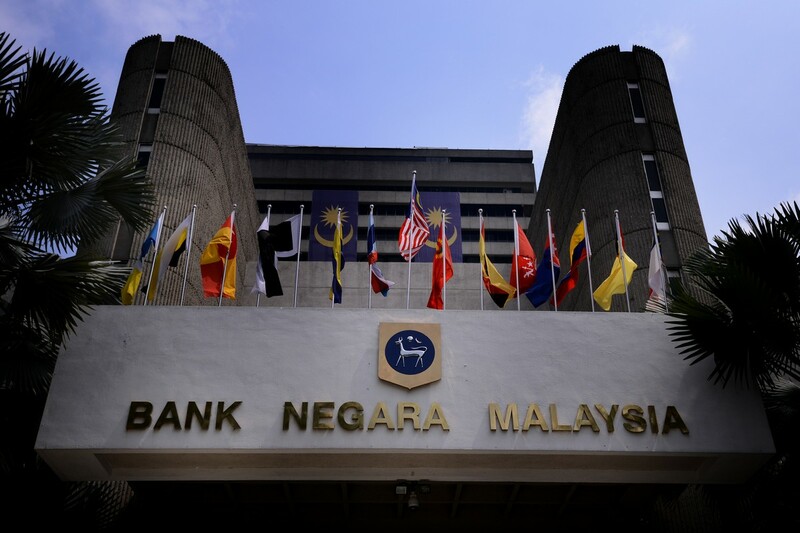 "Repayment has increased by over 70 percent but collection is still low as repayment is done after negotiation," he said at the accreditation of the Personal Financial Management module by the Malaysian Qualification Agency (MQA) here yesterday. Since its inception in 1997, PTPTN had approved loans amounting RM38.15bil. Last year alone, PTPTN approved 238,722 loans using an allocation of RM6.04bil. Khaled said the Personal Financial Management module will be offered in all higher education institutions to create a prudent financial management society. This is because the young are exposed to various financial facilities offered by banking institutions, particularly in terms of credit card use. The modules will be offered as an elective course or curricula of institutions of higher learning and expected to be implemented this year. He students taking the course will earn one credit hour after the module is certified by MQA. 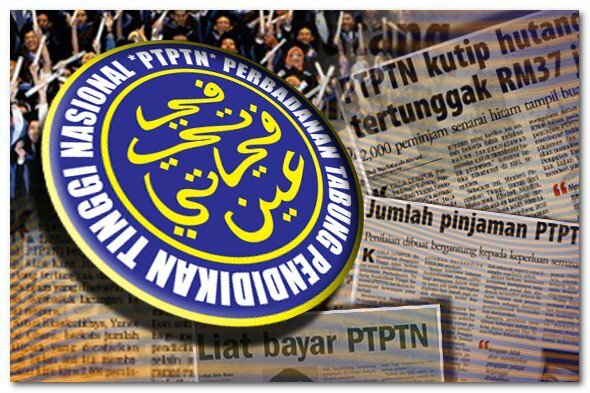 "PTPTN disburses loans to 200,000 students in public institutions of higher learning (IPTA), private institutions of higher learning (IPTS) and polytechnics. As such, we need to develop their ability to manage financing so that they do not forget to repay PTPTN loans after graduation," he said. Thirty-two IPTA and IPTS and 27 polytechnics nationwide have adopted the module drafted by the Credit Counselling and Management Agency (AKPK). MONEY doesn't grow on trees. We've heard this expression countless times. Some even use the phrase on their kids, hoping they would appreciate the value of money. Moral of the story you need to plan your finances and save wisely. You may have heard this numerous times from your financial planners or at investor workshops. Truth is, there's no shortcut (unless you strike a jackpot, of course). A thorough understanding and adequate financial literacy are key stepping stones to increase one's net worth. Jeremy Wong, a financial planner with a local insurance agency says people often choose to invest their money to grow their net value and plan for their retirement coffers. But here's the thing not many actually know how to invest. "You can seek opinion from your financial advisors but they may not help you to monitor your each and every investment," he says, adding that therefore, a thorough understanding is vital. What is financial literacy and why should I care? Financial literacy is not merely about savings. It has a bearing on your investment decisions, budget as well as involves understanding a myriad of financial products offered in the market. Securities Industry Development Corp (SIDC) chief executive officer John Zinkin says people need to understand that financial literacy is not just income and expenditure but also save, budget and invest. "They have to understand the whole concept beyond income and expenses," he says, adding that different stages of life require different financial needs. Zinkin says the SIDC's financial literacy programme, Bijak Mengurus Wang (BMW), caters to different levels of learning.Thus far, the programme, aimed at creating knowledge and vigilant investors, has benefited 21,133 participants, he points out. The programme teaches participants smart money management, wise investing and how to spot scams. Zinkin says similar to reading and writing literacy, financial literacy is necessary to all. When a nation has a high level of financial literacy, it is easy to promote healthy financial ethics and values across different generations, from young to the old. On top of the programme from SIDC, Bank Negara, Bursa Malaysia, banking institutions, stockbroking houses and various associations offer financial literary workshop or counselling from time to time to educate investors. The workshops organise non exhaustive and there are many other private entities which provide financial literacy. Some companies organise such programme regularly for its employee. SIDC investor education assistant manager Azril Bahaman says they organise such financial literacy programme regularly all over the country. "The BMW programme can also be conducted upon request for government and private organisation, NGOs, associations and rural communities," he says, adding that the programme is free. In some countries, financial literacy is in the education agenda and it is taught in government schools. Similarly, Malaysia, in recent years has started to incorporate financial literary in school syllabus. Bank Negara's Credit Counselling and Debt Management Agency (AKPK) provides financial education on responsible use of credit and basic money management skills. The agency also provides counselling and advice on financial management, including financial budgeting to manage expenses and debt management programme. According to AKPK, there are some tell-tale signs to indicate that you are in financial trouble such as paying the minimum balance each month for credit cards, taking frequent cash advances, receiving second and third payment notices from bank and creditors for non-payment debts as well as living from paycheck to paycheck. To gauge the programme's effectiveness, SIDC recently engaged a third party to conduct an impact survey among 800 random participants. The survey shows that 87.3% of the participants are now more vigilant when considering an investment, 85.8% have started implementing personal budget and 84.4% have started setting financial goals. Zinkin said 88% of the participants had also set aside some money as force savings before spending their income every month. More than half of the respondents have opted for automatic salary deduction facility to practice "pay yourself first". Additionally, 46% of the participants had become investors for the first time after attending the programme. This year, SIDC hopes to educate 5,500 people. The programme, which is free for all, is part and parcel of the overall effort by the Securities Commission to promote investor education. Nordalilah Abd Aziz says she used to set aside a small amount of money to pay herself. However, after attending the BMW programme organised by SIDC, she realised the importance of savings and opted for a higher percentage of "force savings" through automatic salary deduction facility from her employer. She has also started investing in some unit trusts after gaining knowledge from the workshop. A financial planner with a foreign bank, Sophie Lee, says it is important to monitor investments and evaluate from time to time the amount of money needed given that the changing needs in different stages in life. She says some clients do not realise the importance of knowing how much they need for retirement and setting a goal towards achieving it. "They just save blindly without having a target and did not know to make the money work for themselves." "The golden rule for personal finance is to pay yourself first. The sooner you get money into an investment or saving, the more opportunity that money has to compound and grow over time," Lee says. She adds that those who started at a young age, almost always have more money than someone who saves higher amounts of money later in life due to compounding effects of interest on the saved money. THE Credit Counselling And Debt Management Agency (AKPK) has helped more than 147,000 put their finances back on track since 2006. An AKPK spokesman said about 56,737 people had also enrolled in its debt management programme (DMP) where assistance was provided to borrowers to work out a budget for living expenses and loan obligations. This is aimed at minimising incidences of non-payment and averting foreclosure on their homes. "Those who approach us come from all walks of life and their inability to repay debts is usually caused by poor financial planning, ignorance and lack of financial discipline to live within their means," the spokesman said. "The tell-tale signs that someone is in financial trouble include paying the minimum balance each month for credit cards, taking frequent cash advances, receiving second and third payment notices from banks and creditors for non-payment of debts as well as living from paycheque to paycheque." According to AKPK's statistics, more men are stuck in debts than women. From 2007 to March this year, 43.6 per cent or 22,879 out of 52,475 individuals who enrolled in the programme were between the ages of 30 and 40 while a majority -- 76.6 per cent or 40,218 -- were married. Part of the programme includes incorporating consumer education that will help improve the financial sector by creating more astute borrowers and promoting a good payment and repayment culture. "Increasing consumers' financial literacy can also foster their appreciation for the need to save, which serves as the basis for wealth accumulation, preparedness for financial uncertainties and comfortable retirement. "Financial and credit education is the answer to many of the problems consumers face today and we have made it our goal to provide a variety of educational services designed to help individuals everywhere take control of their financial situation and gain peace of mind that comes from the wise use of credit." The spokesman said more than 600 of the agency's customers have completed the repayment of their debts. "Many of our clients showed absolute determination in paying their loans, and paying them back fast."